Traveling with Fountain Pens: Do You Need a Traveling Inkwell? 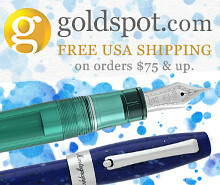 Everyone who writes for the pen community gets questions about the ins and outs of traveling with fountain pens. One topic that comes up frequently is the question of filling from a bottle when you’re on the road, especially for an extended period of time. This issue doesn’t arise much for me - my work trips tend to be 2-3 days in most cases, and two fountain pens filled to capacity will easily last me that long. That said, I know there are readers out there who travel for a week or longer at a time, and may need to consider a piece of fountain pen-specific travel gear: a traveling inkwell or ink pot. Also, if you favor piston-fillers with larger nibs, such as the Pelikan M800 or the Montegrappa Extra 1930, or pens like the Visconti power-fillers that are just difficult to fill to capacity, these devices can be quite useful and will make it easier for you to get a full fill of ink. Fill ‘er up! It’s hard to see, but both the Visconti Traveling Inkwell and the Pineider Pen Filler feature a rubber gasket on the inside that forms a seal. Using these inkwells are fairly simple once you grasp the concept, which can seem confusing and a bit counterintuitive (not to mention risky) at first. To start, you remove the cap of the inkwell and fill with your ink of choice to the indicator line, using the supplied eyedropper (or your own syringe or pipette). When you’re ready to fill, Insert the pen and press gently until you feel the pen come to a stop. The section should form a secure seal against the rubber gasket inside the inkwell, allowing you to invert the inkwell (yes, you heard me correctly) while you turn the piston or converter. You will get a full fill of ink into most pens, which to me is the primary selling point of these contraptions. Note: for vacuum fillers, make sure your seal is TIGHT and hold onto the inkwell securely when you depress the plunger to fill the pen. Otherwise, you may get the “rocket effect” when the inkwell (and all of the ink in it) goes sailing across the room, coating your walls, carpet, etc. It may also be preferable to try outside for the first few times until you get the hang of it. Check out how much ink I was able to get into a Montblanc 146! The best part? Hardly any ink on the section afterwards. You’ll only have to wipe off the nib and the very end of the pen where the ink meets the feed. In terms of actual traveling, I’m honestly a little nervous about flying with these things, only because you’re technically supposed to put all liquids (including fountain pen inks) into single plastic bag in order to get past security. Both of these inkwells have a “stopper” closure, not a threaded cap, so I have some concern about leakage. For the record, the stopper on the Pineider inkwell feels a lot tighter and more secure than the Visconti. I’ve included pictures of the Pineider in action below, featuring a Sailor Pro Gear. I’ve never been able to get that much ink into a Sailor Converter without syringe filling! I like both of these products, but perhaps not for their stated purpose of traveling. Rather, for me their true utility lies in the ability to swap favorite inks (mostly Sailors) from the hard-to-fill “flat” bottles into a different format that will let you use piston-fill pens with larger nibs, such as No. 8s. They’re also a great way to make sure your pens are filled to the brim if you’re preparing to leave on a trip or attend a class/meeting where you will have to do a lot of writing. 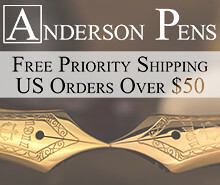 I acquired both of the inkwells featured in this review from Pen Chalet. The Visconti Traveling Inkwell is currently priced at $70 MSRP, with a street price of $56. While it’s certainly not inexpensive, I recall these being priced well north of $100 when they first came out several years ago. Pineider has priced their version lower at $25 MSRP / $20 street price, and to be honest it’s probably the product I would advise most people to buy. 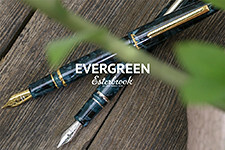 While its overall design lacks some of the elegance of the Visconti and feels a bit insubstantial, it’s the more practical choice for what’s going to be a relatively limited-use purchase for most people. I have, however, read reports that certain Visconti pens don’t fit well into the Pineider inkwell, specifically those with the “hook” closure system, so if you have a large Visconti collection stick with that brand. Side Note: Though you will eventually run into the same problem as you do with ink bottles once the ink level gets too low, many people forego the traveling inkwell in favor of ink sample vials or the 4oz version of these smaller Nalgene bottles. In addition to being extremely inexpensive, the caps on both are quite secure and have survived many a trip through TSA screening. Disclaimer: This post contains affiliate links. 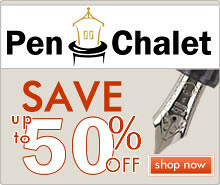 I purchased both inkwells featured in this review from our sponsor Pen Chalet using store credit generated through Pen Chalet’s affiliate program. Who would’ve guessed that this relatively simple accessories pouch would’ve been one of my favorite items of 2018? Bellroy Classic Pouch. I guess I should mention that this list is not in any particular order, because the Bellroy Classic Pouch is my most-used non-pen gear item of the year. It’s not even purely a pen accessory - I also use it to carry cables, Mac dongles, USB thumbdrives, and SD cards in addition to a few pens, post-its, and paper clips. Leather Goods from Baron Fig: The Guardian and the Sheath. While Baron Fig as a brand certainly isn’t new to the scene, I’ve enjoyed seeing them expand their line, which they have continued to do despite moving away from their perhaps-too-ambitious limited edition subscription service/monthly release plan. 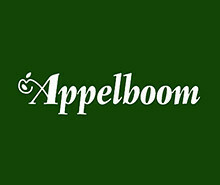 One particular area where the company has been particularly active is leather goods, including not only notebook covers in every size, but pen sleeves and even wallets. Baron Fig manages to maintain their clean, minimal aesthetic while offering a range of color options. I’ve been carrying one of their slim bifold wallets for the past six months or so and have been impressed with the durability and quality. Toffee Lincoln Briefcase. Again, not a new brand, but definitely new to me. 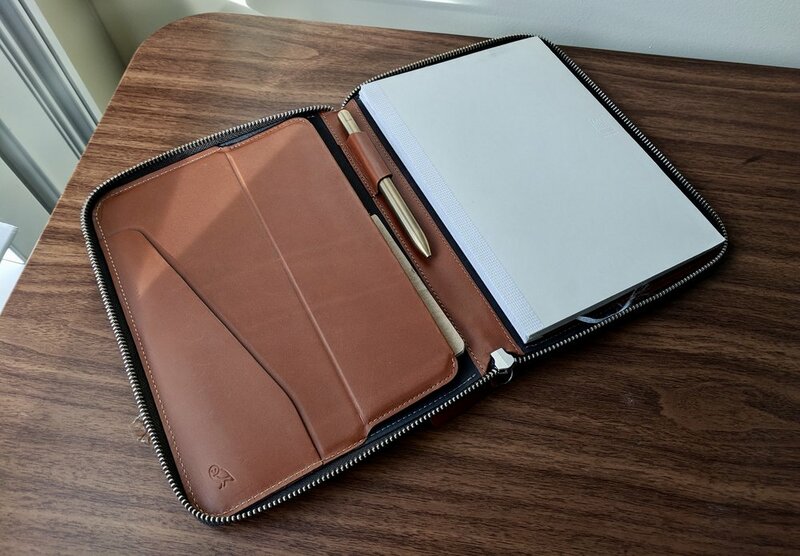 I’ve continued to use this slimline leather bag as a computer case or a minimal briefcase when I just want to take a few pens, a pad of paper, and maybe an iPad Pro for some quick work in a coffee shop. Other brands that continued to kill it in 2018 include Good Made Better (makers of the Penwell), who released their new Penwell “Traveler” via Kickstarter. I’ve done much gushing over the Penwell recently, but I left it off this “Top 5” list because I kept that concept in the “2017” bucket. I’ve also thoroughly enjoyed this Italian leather notebook cover from The British Belt Company, and it’s been fun to watch new fountain-pen friendly notebook brands such as Stifflexible and Dingbats* continually improve their paper and bring fun new designs to market. I’m sure these trends will continue into 2019! A couple items that I mentioned earlier in the year (or even in 2017) fell out of use as the year went on. One is the Roterfaden Taschenbegleiter, which is an awesome product if you enjoy using multiple slim, single-subject A5 notebooks. (Yes, I know you can put larger notebooks into the Roterfaden too, but it makes it fairly bulky and a bit hard for me to write with.) At the end of the day, I couldn’t justify hanging onto what is a relatively expensive accessory so I sold it off after admitting that it doesn’t fit my workflow. Other cases that didn’t find a permanent home in my workflow included folios such as the Bellroy A5 (mentioned above) and Nock Co Seed A5, as well as the Nock Co. Lanier briefcase. All of these are excellent products - I’ve simply come to terms with the fact that I need to move on from those products that I’m definitely not going to use every day, otherwise I’ll end up drowning in bags and pen cases. Without exception, the reason these items didn’t work out for me is my personal preference with respect to size and format. I prefer to use hardbound A5 notebooks in leather covers, and if I carry a portfolio, I need it to be A4 or American legal size. So this is it for the year! I’m signing off until after the New Year, and wish everyone a happy end to 2018! Of the four items I started carrying at the beginning of 2018, only two stuck (the Nanami Paper Cafe Note, bottom left, and the Baron Fig Confidant with One Star Leather Cover, bottom right). Disclaimer: I received several of the items featured in this post for review purposes, free of charge (you can find details through the linked reviews). As always, everything in this post is solely my own personal opinion, and should be taken as such. More excellent leather goods to show and tell! A couple months ago, The British Belt Company reached out and requested that I review one of their leather notebook covers. 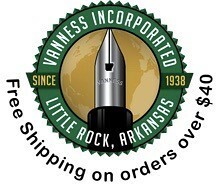 Not having purchased from this company before, and always looking for new manufacturers and retailers entering the stationery space, I of course agreed. I opted for the pebbled burgundy leather option. At least nine different color options are available. Immediately upon handing this notebook cover, I knew that it would be a hit. The cover is made from thick, full grain leather, with nicely finished edges and a suede interior. It feels great in the hand, and smells even better. (Yes, I smell all my leather.) The British Belt Company was kind enough to emboss my initials in the lower right-hand corner of the cover, which I always do if I have the option. This notebook did ship with a lined, A5 refill, but it’s not the most fountain-pen friendly paper and devoted fountain pen users will probably want to swap in something else. A Seven Seas Writer from Nanami Paper fits perfectly, and I suspect that another A5 notebook like the Taroko Design Enigma or the Hobonichi Techo Cousin would also work. My A5 Nanami Seven Seas Writer snug in its new home. A comparison shot of three leather notebook covers that find their way into my daily rotation: The British Belt Company A5 (bottom), a custom One Star Leather Baron Fig Confidant Cover (middle), and the Gfeller English Kip leather cover for my Nanami Paper Cafe Note B6 (top). Based on what I’ve seen so far, The British Belt Company makes high quality leather goods, and I can add this notebook cover to my list of recommendations, alongside One Star Leather and other quality makers. You can purchase this product, along with a wide range of leather belts, bags, and other accessories, directly from The British Belt Company via their website or via their Etsy shop (which has slightly lower prices). The Italian Leather Notebook Cover, plus refill, is currently priced between $80-90, which is about standard for a leather notebook cover of this size and quality. I’ve also decided to include this product in the TGS 2018 Holiday Gift Guide. Be sure to check it out, especially since many of the retailers featured in the guide will be running Black Friday/Cyber Monday sales in the coming days! Disclaimer: The British Belt Company sent me the notebook cover featured in this review at no charge, for review purposes. This post contains affiliate links. Baron Fig has recently supplemented their accessories lineup to include a whole slew of new colors. While I’ve written much about Baron Fig’s pens, notebooks, and paper, I’ve never reviewed any of their leather products. Here, I’ll take a quick look at two that I recently received. The Guardian is a high-quality leather cover for Baron Fig’s flagship product, the Confidant notebook. Available in two sizes, “Flagship” and “Plus”, the cover adds some protection to the Confidant’s cloth cover, which will come in handy if, like me, you tend to use your notebooks over a longer period of time and need the covers to hold up. If you’re a planner person, and you’ve chosen to go with the Baron Fig Confidant Planner for 2018, I’d definitely recommend investing in a leather cover to ensure that your planner survives the full 12 months. A smaller Guardian is also available for the pocket-sized Vanguard softcover notebook, which seems as though it could double as a wallet. I appreciate that the Guardian doesn’t add much bulk to your notebook. Initially, the cover is a tight fit, and for the first week or so the front cover of the notebook may not lay completely flat when the notebook is closed. Eventually, the leather stretches out a bit, and it’s no longer an issue. The Confidant still lays flat when the notebook is open. There is no branding on the front of the Guardian cover. The only Baron Fig branding is an imprint on the back inside flap, which makes for a very clean design. I do wish Baron Fig had omitted the “sword” motif from the front of the Sheath, and left the Guardian as a more minimal leather sleeve. While I can live with it, and I understand that their brand is based on adding a bit of whimsy to the otherwise staid stationery industry, I can’t help but feel that the imprint cheapens the look of the product a bit. The Sheath features the Squire's "sword" logo on one side, and a Baron Fig imprint on the other. The Sheath is a straightforward product. You slide the Squire (here, the Brass "Key" edition) into one end of the leather sleeve/pouch. It's a tight fit, so no worries about the pen sliding out. Overall, I’m impressed with the build quality of Baron Fig’s leather goods, all of which are made in the USA. My favorite aspect, however, is the range of available color choices. Rather than your ordinary brown, black, and natural leather options, Baron Fig decided to go with something completely different, offering both the Guardian and the Sheath in Fig Wine (a burgundy-ish red), Charcoal (pictured here on the Sheath), Blue Slate (self-explanatory), Yellowgold (pictured here on the Guardian), Rose Quartz (the recently released pink option), and Light Brown (the conservative “tan” option). I know, for someone who talks so much about “work appropriate” products that won’t turn heads at the office, who would’ve thought that I would opt for the bright yellow leather notebook cover? You can order the Guardian Confidant cover and the Sheath pen sleeve directly from Baron Fig, via their website. The Guardian starts at $79 for the standard A5-ish “Flagship” version, and $109 for the larger “Plus” version. The Guardian Vanguard is $45. The Sheath pen sleeve costs $24. While these prices aren’t cheap, they’re well within the range of reasonableness for leather goods of this quality. Disclaimer: Baron Fig sent me the Guardian Confidant cover for review purposes, free of charge. I purchased the Squire Pen Sheath with my own funds, for my own use. 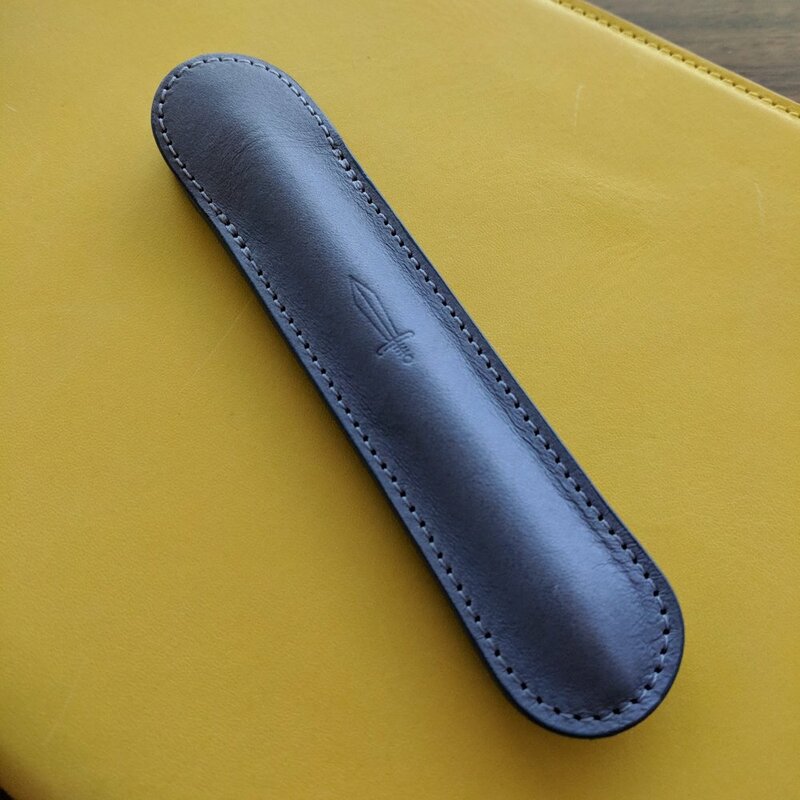 Today I'll take a more in-depth look at a product that I've previously mentioned: the Work Folio A5 from Australian leather goods company Bellroy. There's been a lot of discussion about this product recently, and I wanted to add a bit of a different perspective, coming from someone who has used the Work Folio "in the wild" for a period of time in perhaps a different context than what's already been discussed. I love portfolios. They fit the way I work, which is a combination of being chained to a desk for 4-5 hours a day, with the other 4-5 hours spent moving between out-of-the-office meetings, conferences calls, and court hearings. While I've made a lot of progress in terms of reducing the amount of "junk" paper that I cart around with me, I still need a good notebook to take meeting notes, brainstorm, and record appointments. When I'm traveling, a zippered portfolio provides an easy way to hang onto cards, tickets, receipts and other bits of paper that you tend to accumulate on the road. So when Bellroy reached out and asked whether I'd like to review one of their new Work Folios, I seemed like a natural fit. The Work Folio features a heavy duty zipper and Bellroy's trademark owl logo. I first heard about Bellroy through curated online retailer Huckberry, who I've been buying from for years. Four years ago, my wife bought me the Bellroy Hide & Seek wallet for Christmas. Other than softening a bit, the leather still looks pristine, and it's more or less the only wallet I carry on a daily basis and look forward to doing so for years to come. I've since added a Bellroy leather pocket notebook cover as well. The Work Folio A5 without the notebook inserted. Bellroy uses high-quality leather that stands up well to heavy daily use. I'm very hard on bags, portfolios, pens, you name it, so ruggedness is important and I'm not afraid to pay money for a product if I think it's going to last me a long time. The Work Folio doesn't disappoint in this regard. Bellroy sent me the tan leather option, which feels thick and substantial, and the zipper seems heavy duty enough to last a very long time. Bellroy goods are backed by a three-year warranty. 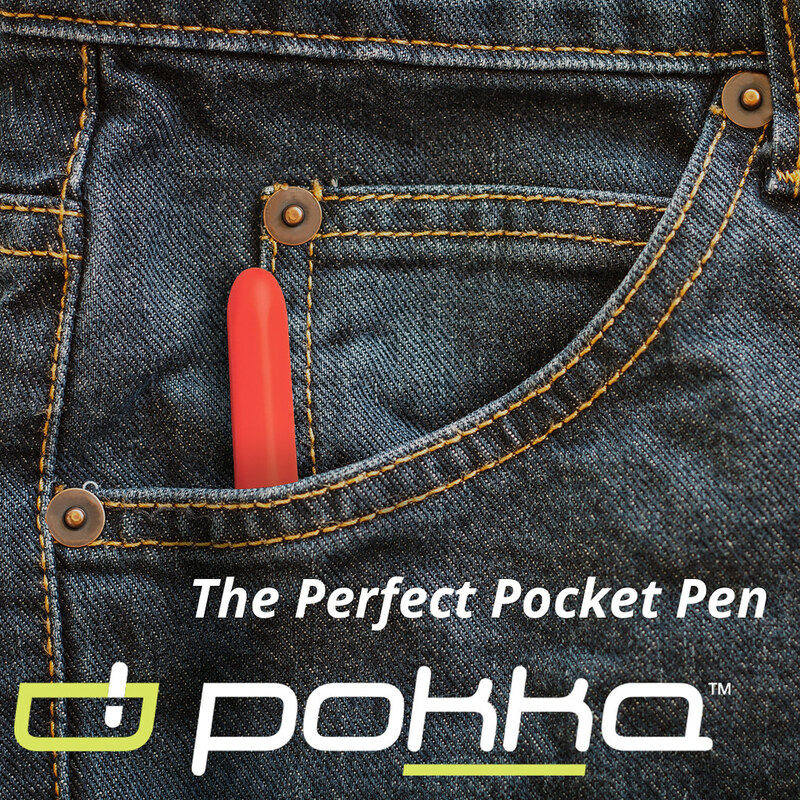 The left inside flap has pockets to hold business cards, notecards, post-its, your phone, a pocket notebook, etc. I'm sure you could also use them to hold a power bank, headphones, charging cables, and other small odds and ends if you use your folio to hold your tech products when traveling. Inside, the Work Folio has a slot for a softcover A5 notebook on the right, which seems like the main feature of this piece. While there has been some discussion about hardcover A5 notebooks not fitting properly, the Work Folio A5 strikes me as something you would use instead of a hardback notebook like a Leuchtturm 1917, hardcover Moleskine, or a Baron Fig Confidant. While I was able to squeeze in a Confidant, it did leave the folio pretty bulky and the notebook didn't lay completely flat. If you're looking for a leather cover for your hardback notebook, you have other options. The Bellroy Work Folio A5, shown here with the Nanami Seven Seas Writer. Bellroy ships the Work Folio with a slim A5 notebook, and if that's what you use the one I received was serviceable. You can also find plenty of other softcover A5 options. Personally, I prefer a notebook with more paper than what these slim notebooks offer, so I opted for a Midori MD A5 notebook, which works perfectly. The Nanami Paper Seven Seas softcover A5 notebooks also fit well, and I think that when the Midori runs out I will move over to one of the Crossfields that I have in my stash. Due to the lack of a clip on the Baron Fig Squire (Brass "Key" version shown here), this may not be the most "practical" pairing I can think of but I like the combination of the patina on the brass and the leather portfolio. The pen loop is pretty slim, so don't expect that it will hold your fat fountain pens. In addition to holding the notebook, the Work Folio has a leather pen loop and several pockets to hold cards, your phone, and even an "e-reader or small tablet." This would have to be limited to something like the Kindle Paperwhite or Kindle Fire (or maybe an iPad Mini), but I personally would never think to cart these around in my work portfolio because, well, I don't think they're very practical for professional use, as opposed to a full-size iPad, which requires it's own case anyway. While I may test it out as a tablet case at some point in the future, possibly when I'm traveling and would want to read a Kindle on the plane, my initial thought is that having a tablet in the Work Folio with a notebook would make it too bulky. I typically stick a pocket notebook under the left flap. Shown here is an A6 Flip/Flop Notebook from Say Nice Things. The Work Folio A5 is an excellent product from a reputable and established leather goods company that serves my particular needs well. That said, I can't emphasize enough the need to do your research and consider your own personal preferences and requirements before making a purchase, especially at the price point high-quality leather portfolios tend to command. For most people, this would be a substantial investment in a key part of your workflow, not an impulse buy. If you're committed to hardback notebooks, this particular portfolio is probably not the best option for you, but if you enjoy softcover notebooks like the Midori MD, Life A5, or the Nanami Seven Seas series, I would definitely consider what Bellroy has to offer. Cared for properly, this piece should provide you with years of service. I believe the Work Folio A5 is currently in production, and that what Bellroy sent me is a substantially final prototype. The Folio is available for purchase/pre-order on the Bellroy website for $199 USD, with the site estimating delivery in three weeks. If you are interested in an even larger porfolio that holds an A4 pad, and has even more internal pockets, consider the Work Folio A4, priced at $299 USD. 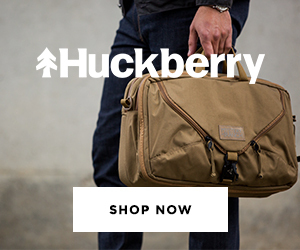 UPDATE: The A5 Folio is now available for purchase via site sponsor Huckberry (affiliate link). Any purchases go to help support the site. Disclaimer: Bellroy send me this product free of charge, for review purposes. This post contains affiliate links. Many thanks to Bellroy for making this review possible.